1: Don't bring your personal feelings into the art of roleplaying. I don't have a tolerance for it. I'll play romance and explicit roleplays and have Lelouch get into a relationship, but that's were it stays. You won't get a warning. You will be deleted and blocked. 2: I hate seeing mutes and ghosts. I personally understand that everyone has a life, but if you're online for a few days straight in a row and can't put in the effort into a reply; can't relate. This is an automatic delete. 3: I don't do one-liners, and I don't do semi-para. Para and above is my limit. If you can't supply this, don't even bother. Just remove yourself from my friends list and have a nice day. 4: Comments are for discuss. Roleplay is for messages. 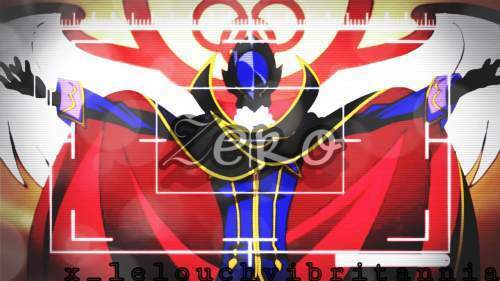 Sign and give a fact about Code Geass.